A roof restoration will take care of any present roof damage and lengthen the lifespan of your roof. A commercial roof restoration in Dallas, TX is a full roofing enhancement that improves every part of your roofing system. Before considering a roof replacement, try a roof restoration, which is much more cost effective than a complete roof tear off. 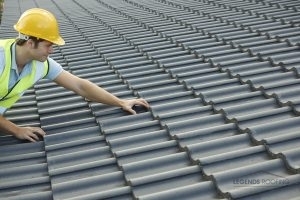 Our roof restoration methods will ensure your roof gets the full service it needs right away. We’ll to go to every length to guarantee you don’t spend money on an expensive roof replacement too early. Find out how we take excellent care of our commercial customers today! If you’re thinking you need a roof restoration or replacement now, don’t wait another minute longer. Call us at 214-321-3293 to set up an initial appointment. If you’re losing energy efficiency, noticing leaks or mold, or you’ve found pools of water on the roof, it’s time for a roof restoration. Without the help of a contractor at Legends Roofing, you could go on to experience expensive electricity bills and the mold will continue to grow inside your walls. If you experience a variety of these symptoms all at once, you won’t just need a repair – you’ll need a restoration. Act now to avoid further damage to your assets and serious health risks to you and your employees. Finding exactly what’s wrong with your roof is the precursor to restoration so you know exactly what to expect and our crew can prepare tools to get the job done. We’ll provide you with a report that summarizes roof leaks due to needed shingle replacements or roof debris. If we believe any of the components of your roofing system need replacing we’ll let you know. Dirt, moss, algae, and debris all need to be removed. We’ll get your roof looking fantastic again while further cutting down on the chance of future roof leaks. Once we’ve cleaned off the roof, we’ll begin following through with repairs and replacements for all fixtures. This includes shingles, tiles, sheathing and more. Cracked and broken flashing will be fixed or replaced. Once we’re finished with your restoration you’ll notice the difference almost instantly. If you’re ready to fix various roofing issues all at once, then nothing short of a roof restoration will be better for your business. Get in touch to begin your commercial roof restoration in Dallas, TX today. You can call 214-321-3293 at any time to get started. Updated on August 4, 2017 at 1:55 pm by Legends Roofing.